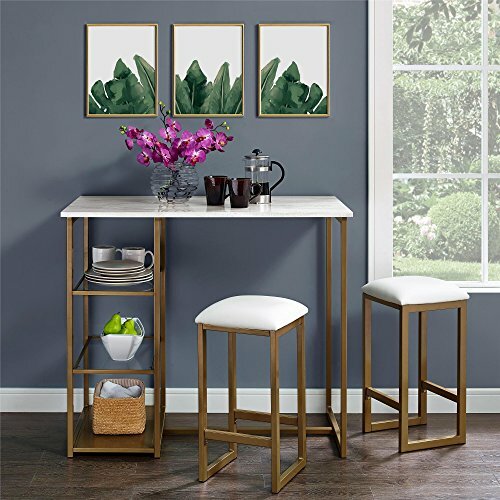 This collection marries utility and beauty in an eye-catching architectural design. 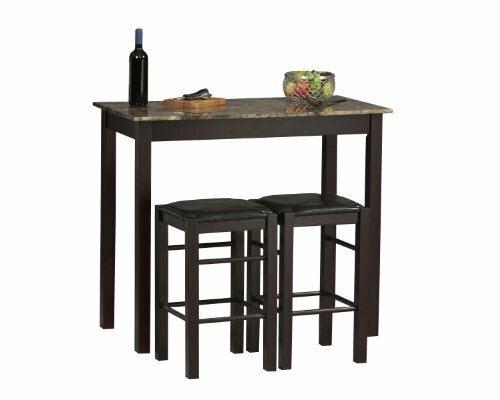 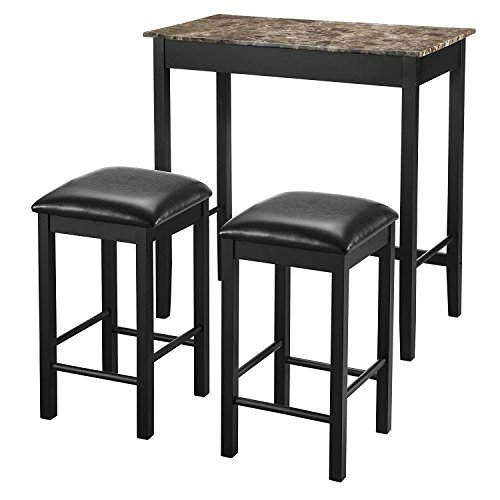 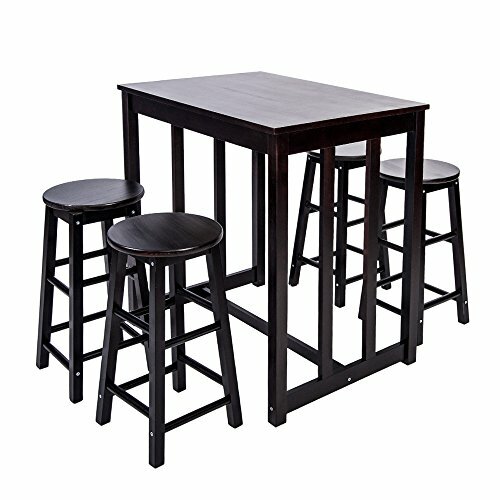 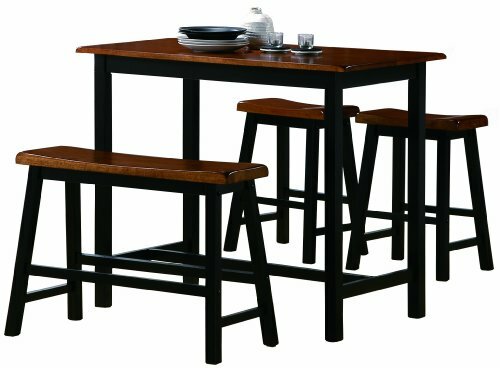 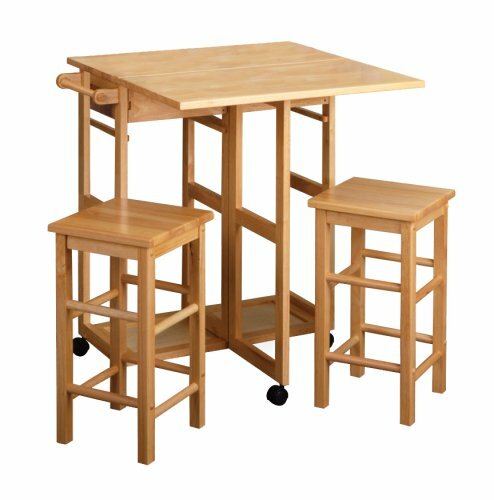 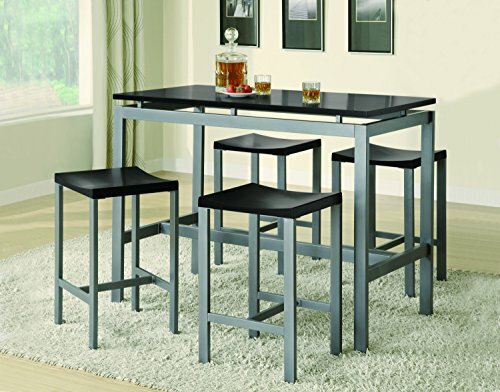 Featuring a counter-height table and four backless, counter stools. 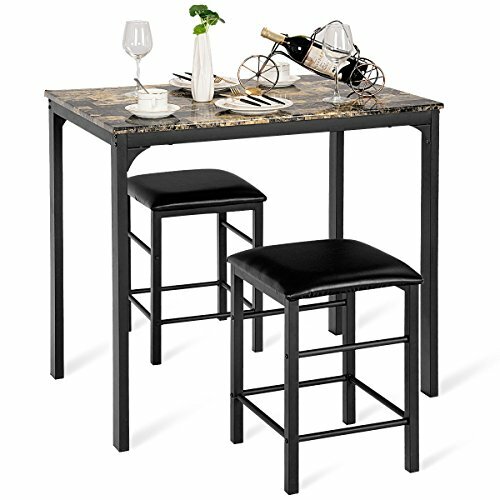 A shiny, black finish adorns the table's top while a sturdy, silver metal base adds an industrial design element. 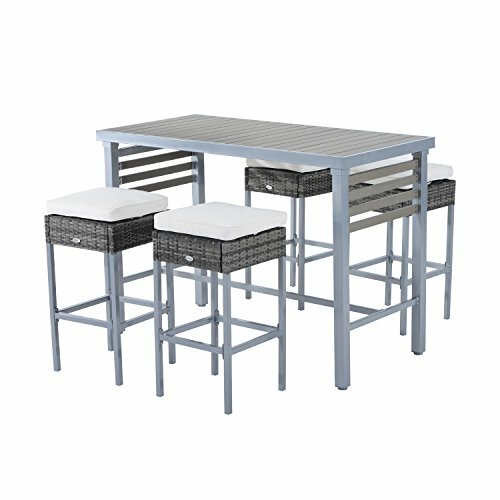 The four counter stools mimic the table with a black seat and silver base.